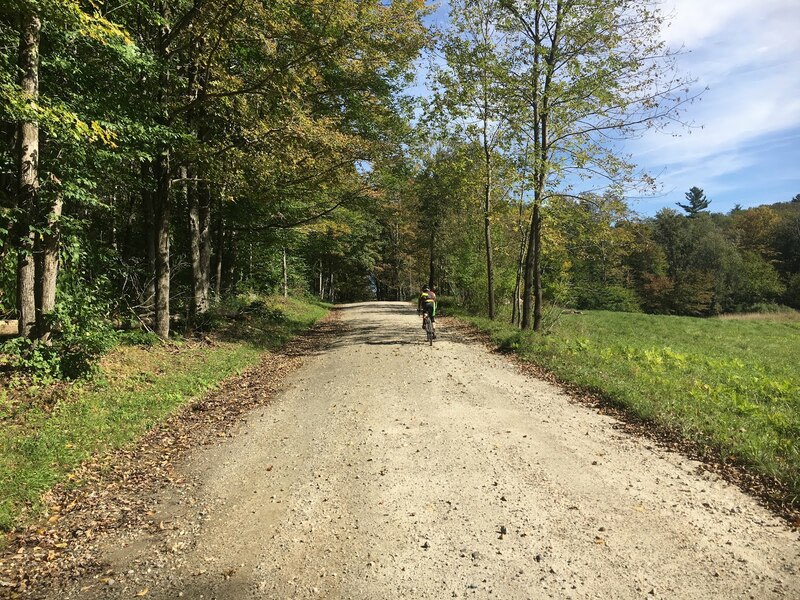 I recently discovered some more dirt roads in and around Norfolk so I took this opportunity to try riding them. 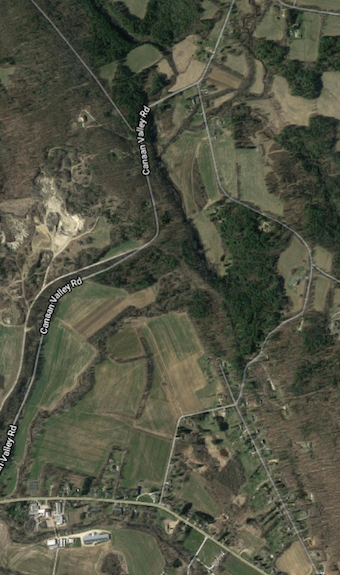 In particular, I wanted to see if Foley Hill Road in New Marlborough actually went through or not. 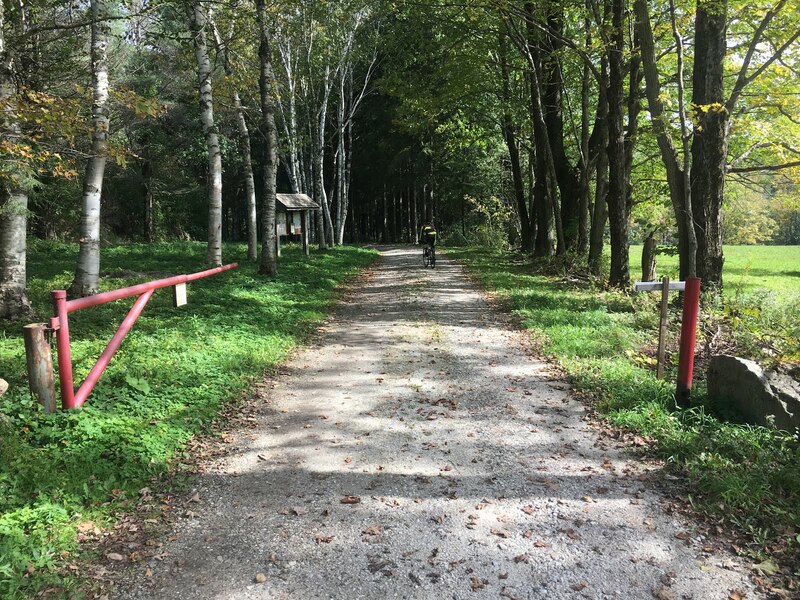 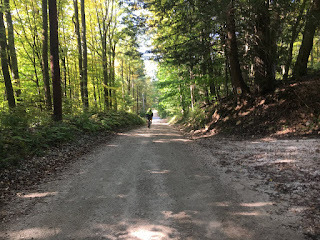 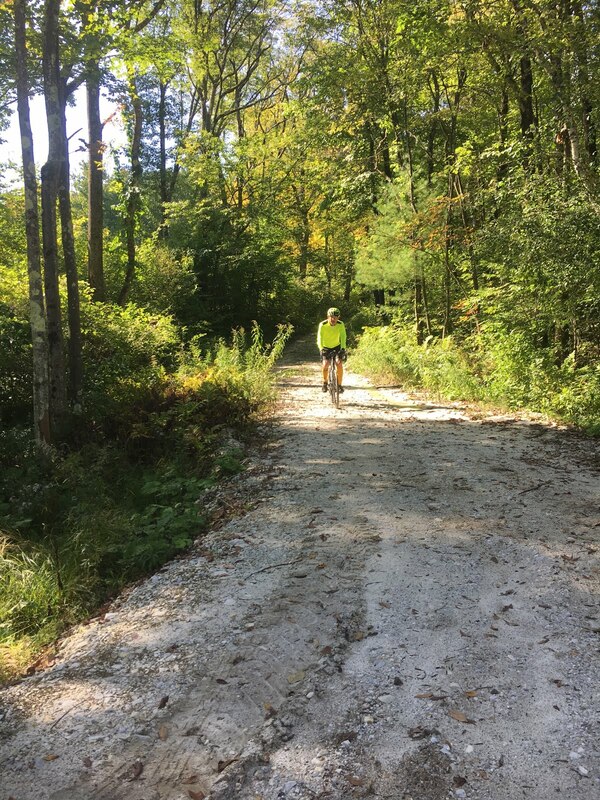 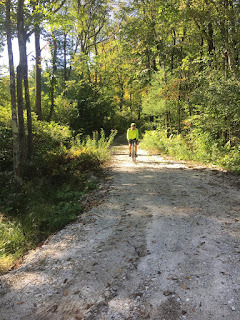 I have ridden most of the dirt roads in Sheffield, New Marlborough, and Sandisfield but Foley Hill and Rhoads and Bailey were still on my bucket list. 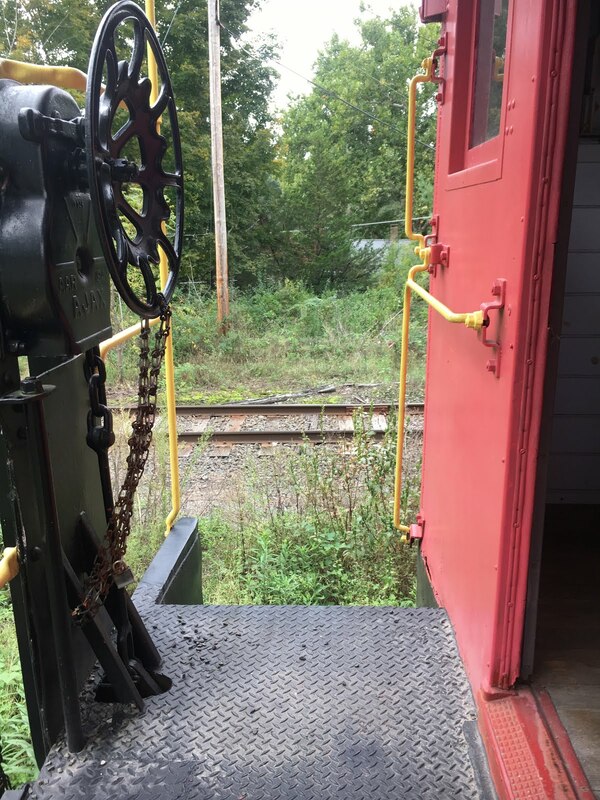 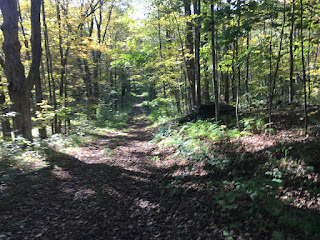 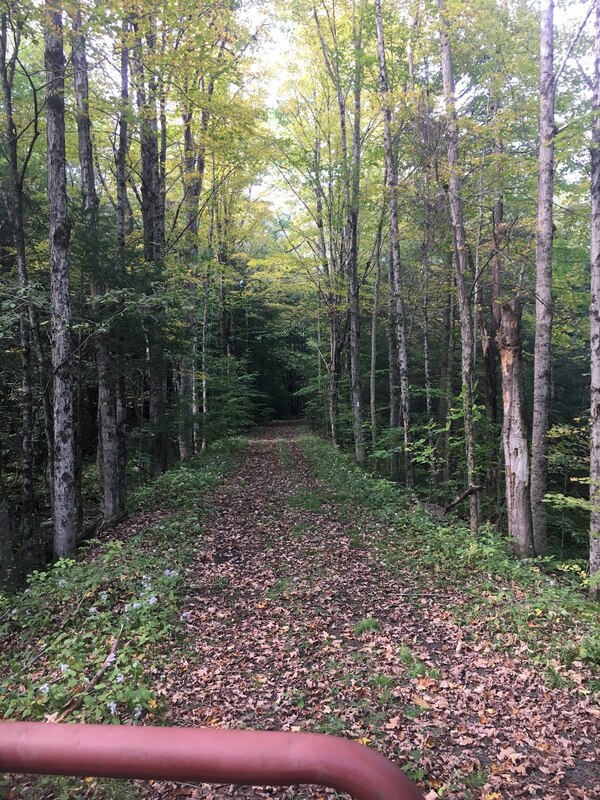 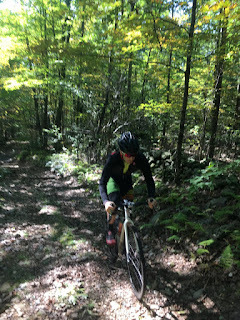 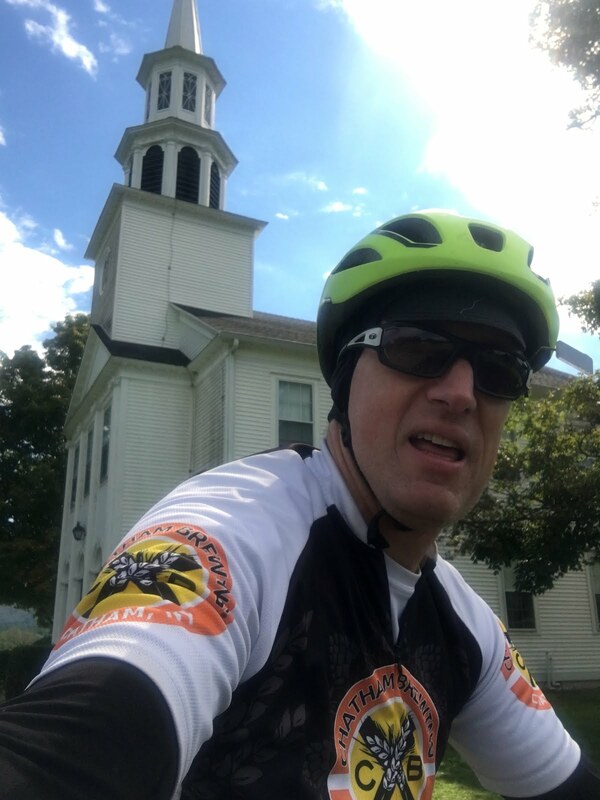 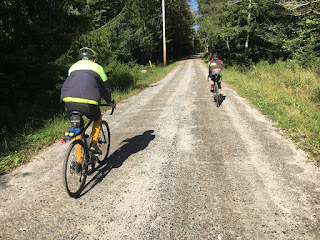 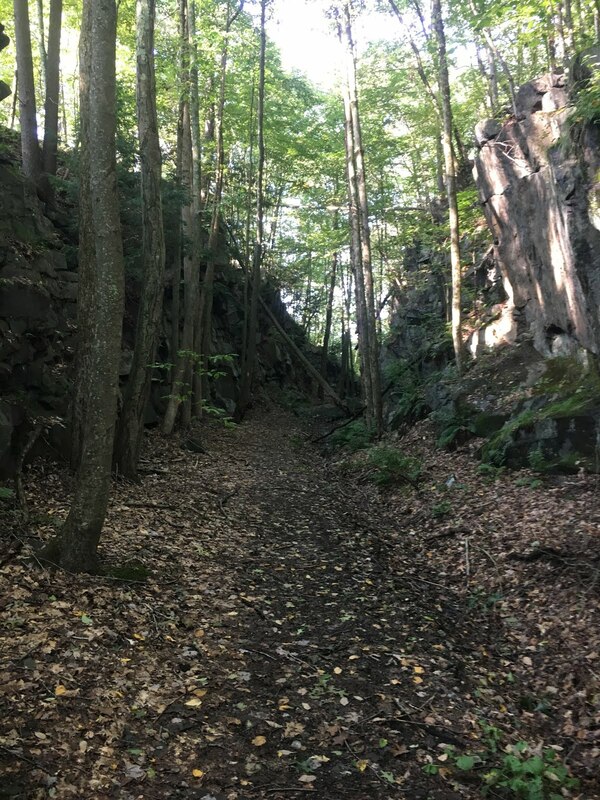 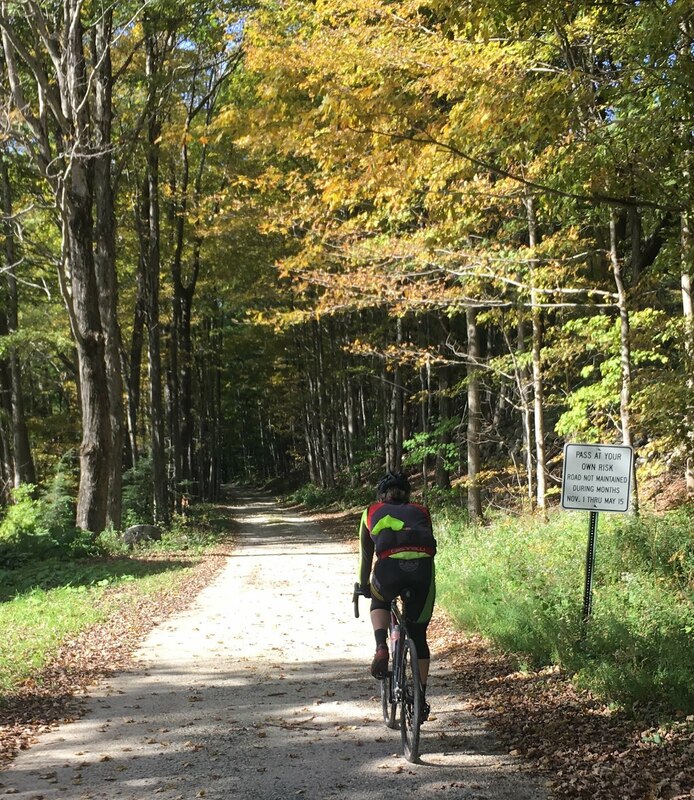 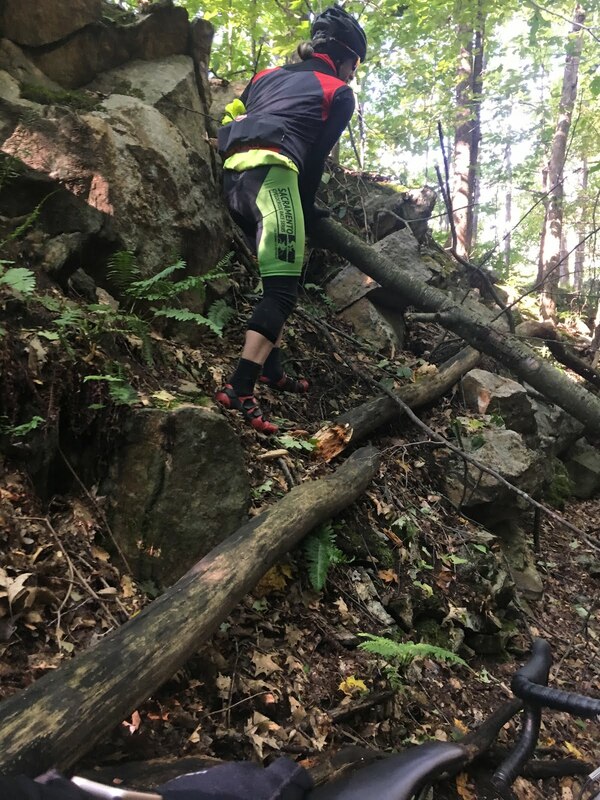 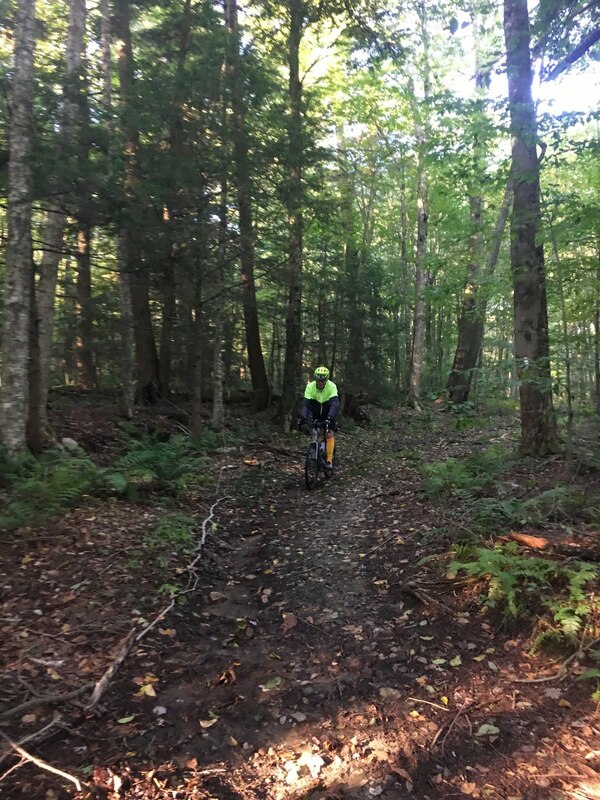 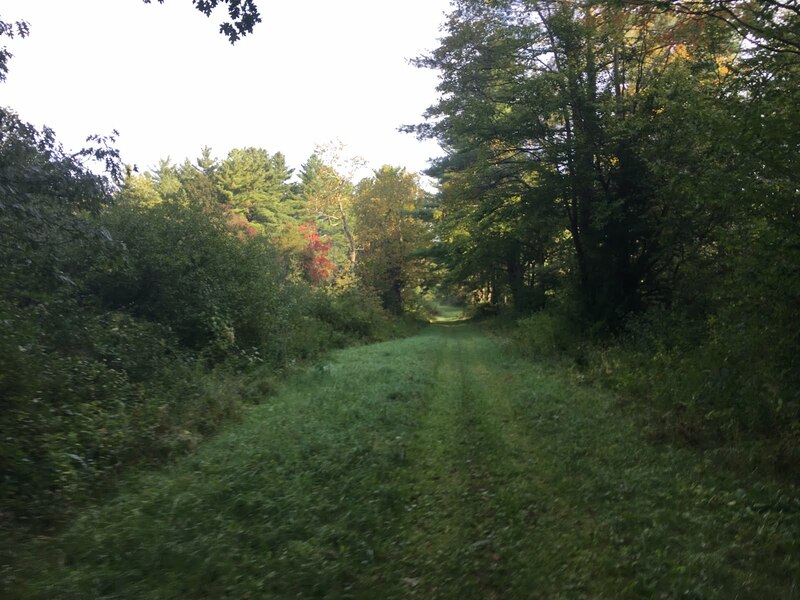 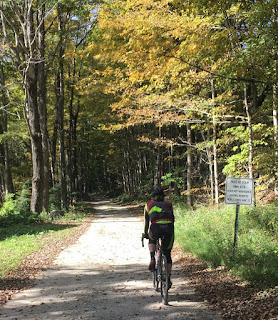 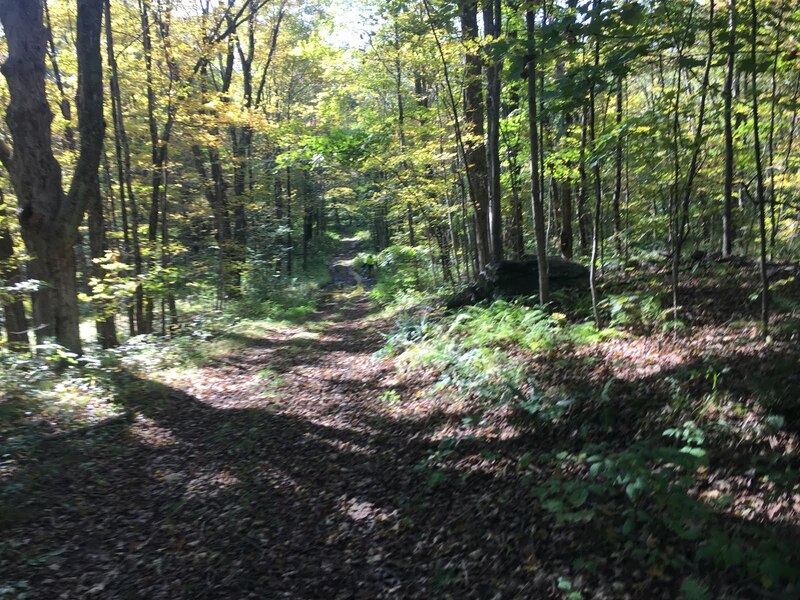 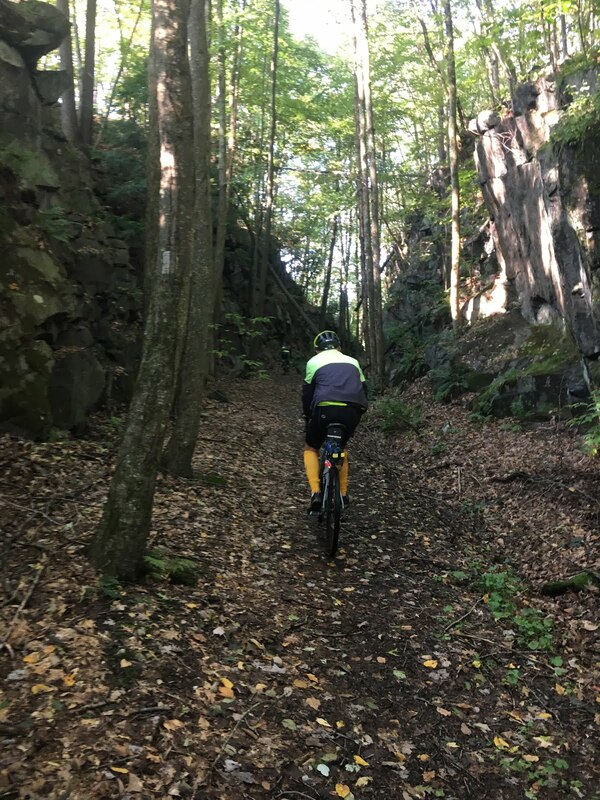 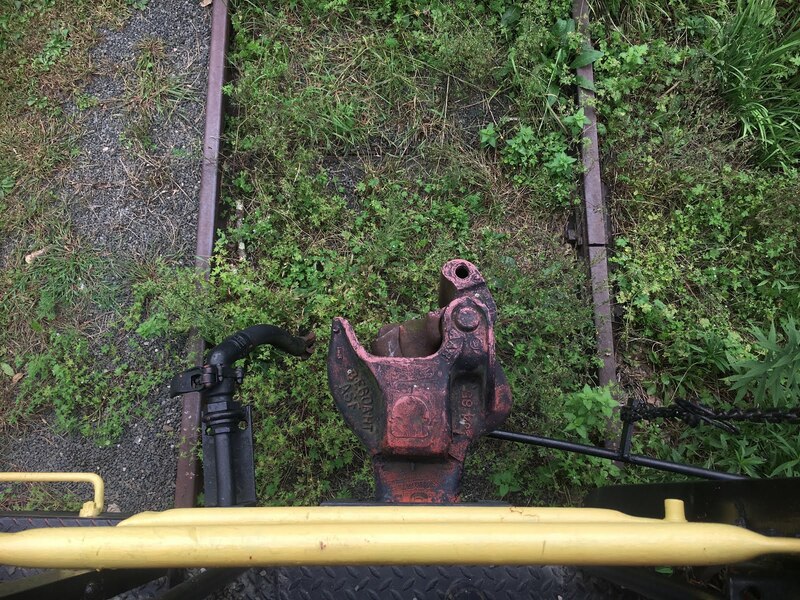 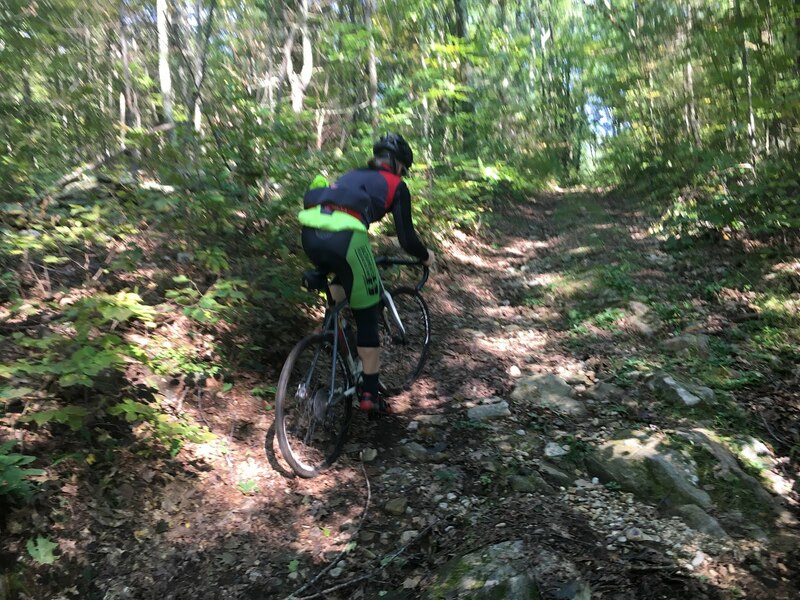 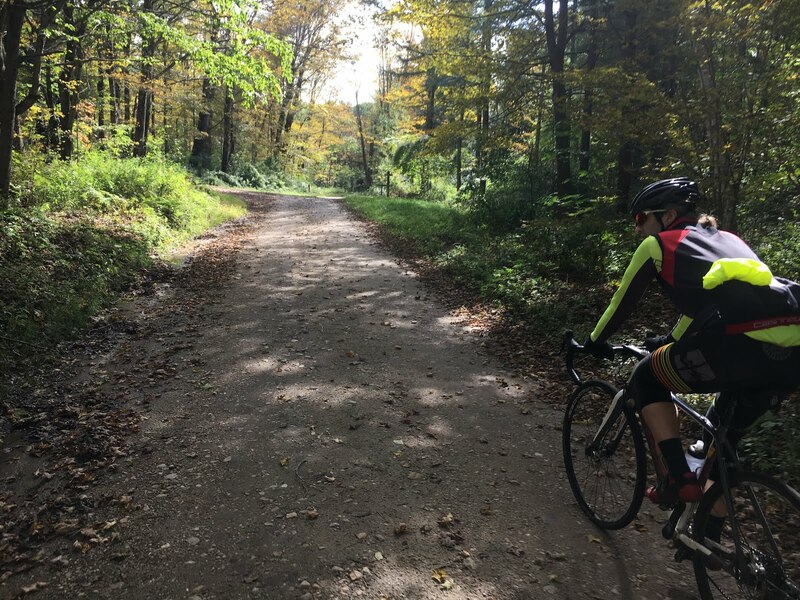 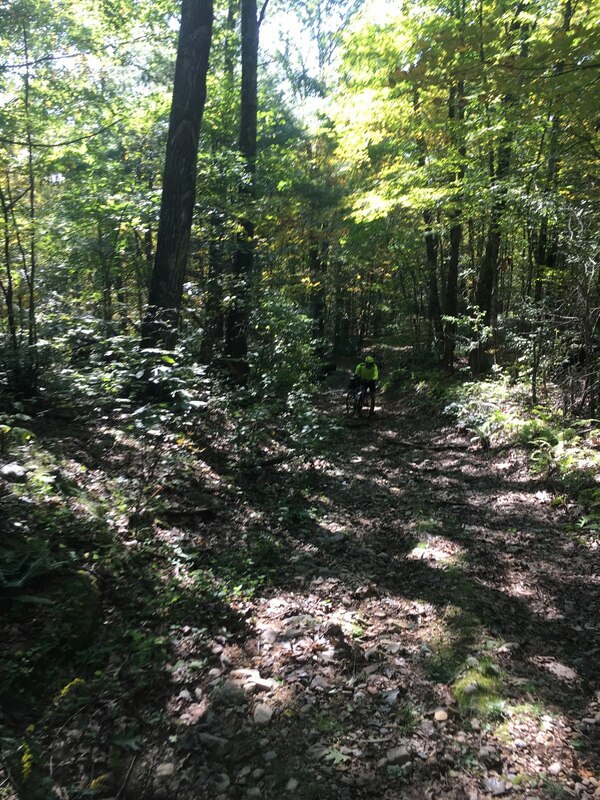 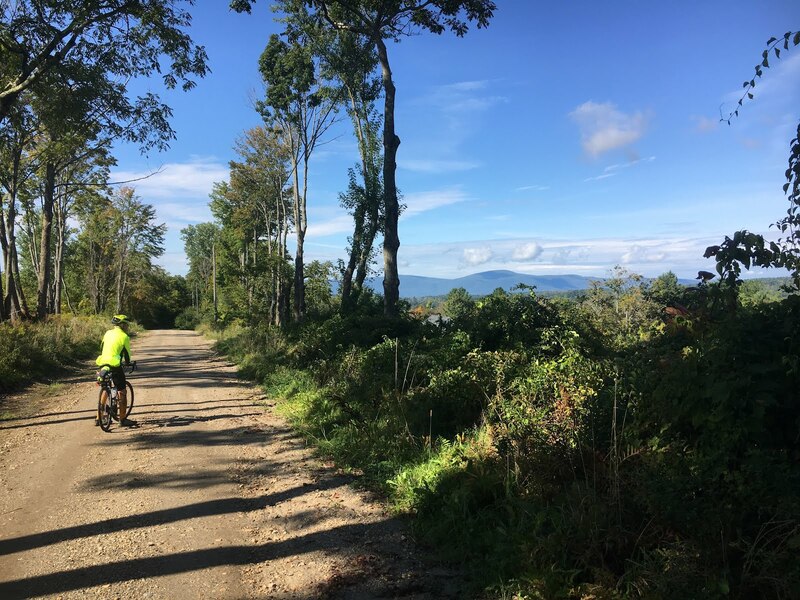 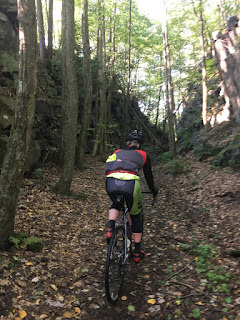 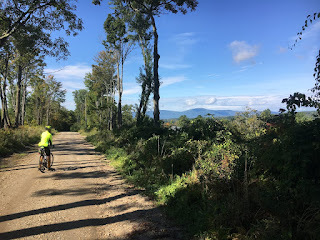 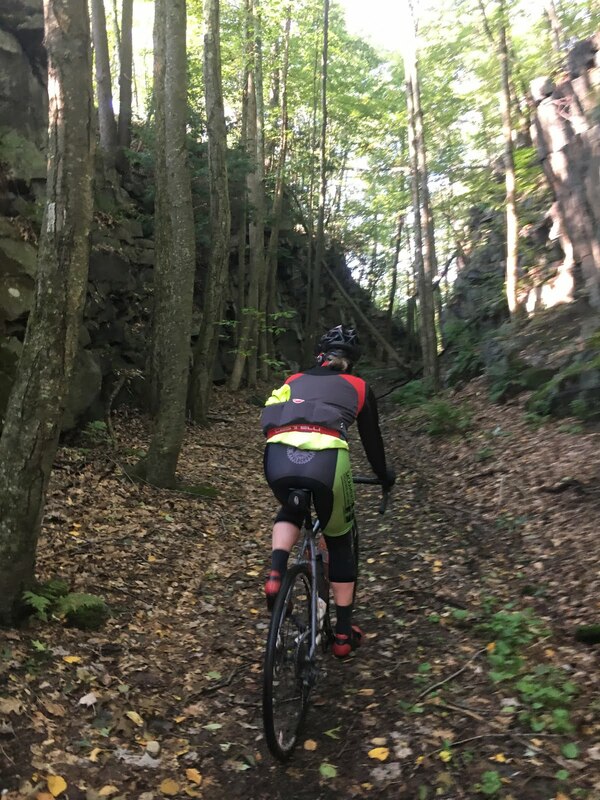 Additionally, with this ride I wanted to explore sections of the old Central New England Railroad that went through Norfolk and ride Great Mountain Forest. 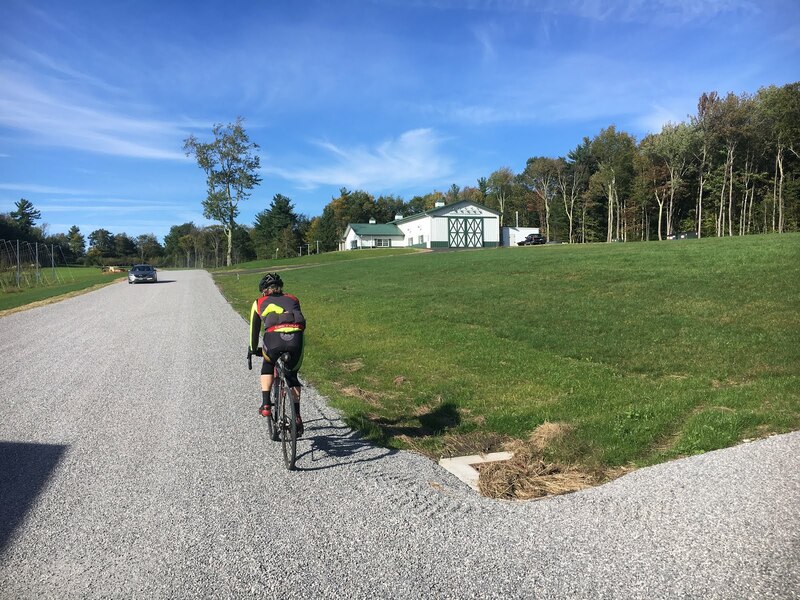 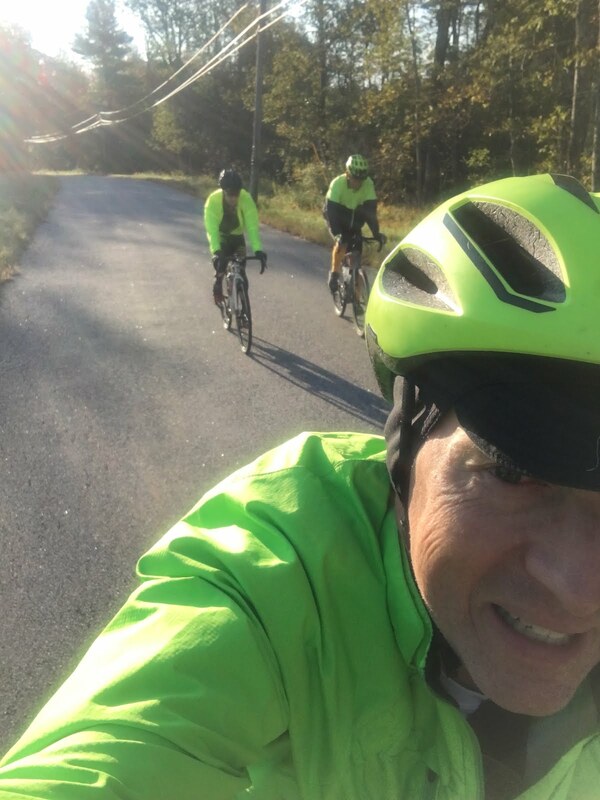 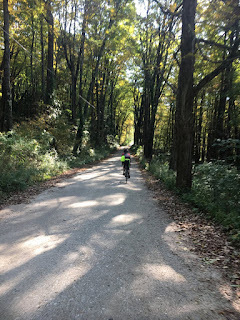 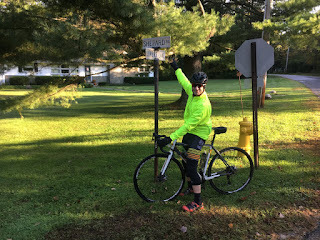 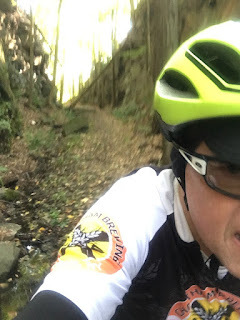 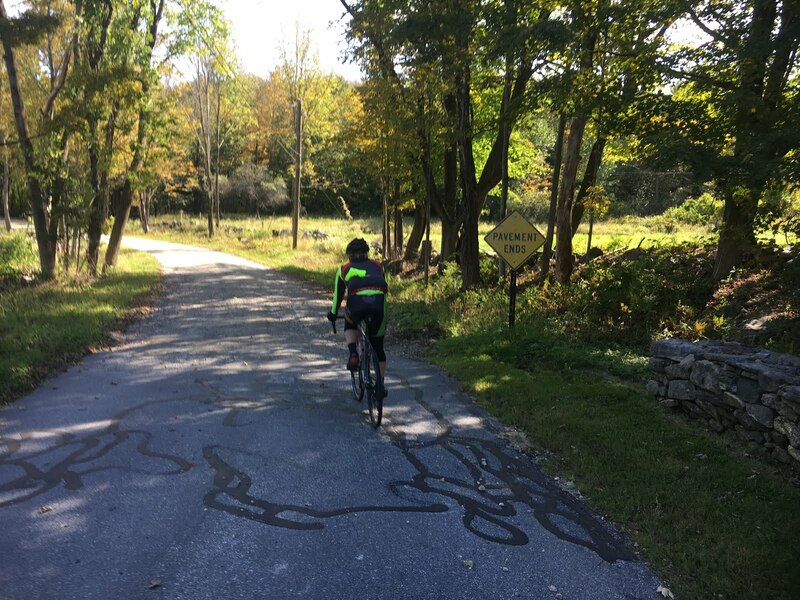 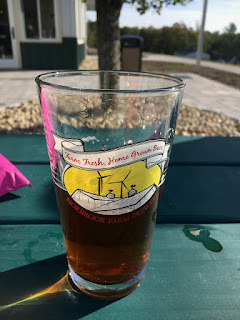 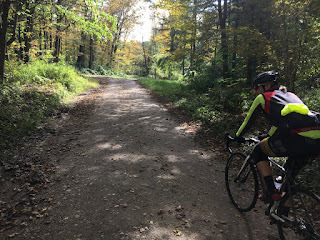 I met Shepard, whom I have ridden with a few times this year, and Dean, who rode with me on last week's Autumn Roubaix Classic, at the brewery and we headed towards Norfolk on Stillman Hill. In the sun it felt like the low 50s but out of the sun it was actually 41 degrees. 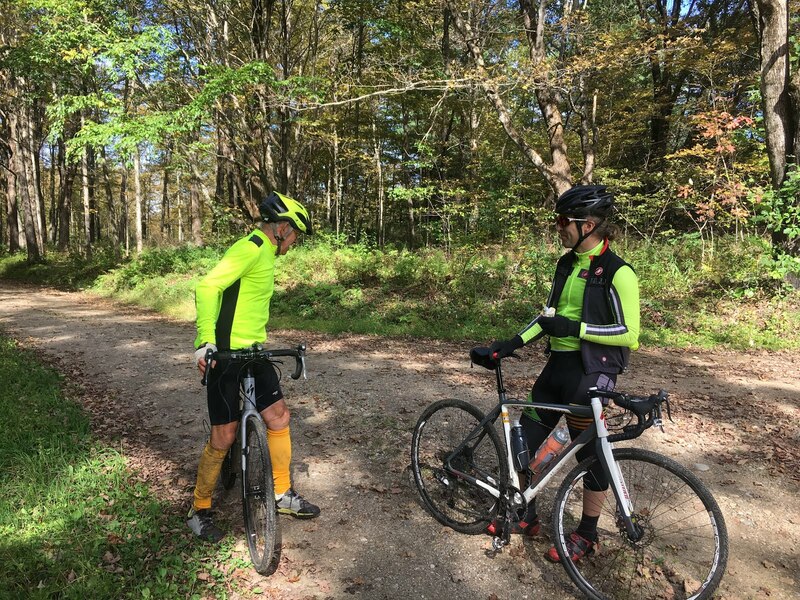 I started out with toe and arm warmers, a wicking shirt under my Jersey, a riding jacket and of course my beer socks. 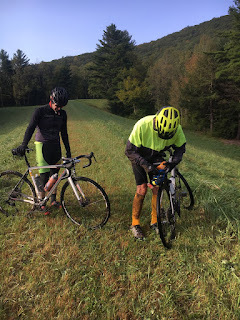 We hit first dirt about a quarter of mile from the brewery on Green Road. 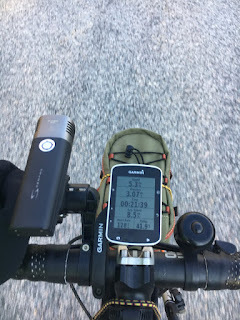 When we were moving, even being in the sun, it was still pretty cold. The route also included a really nice dirt road descent into Norfolk. At the intersection with Shepard Road a local man out for a stroll told us where to go to pick up the rail trail. 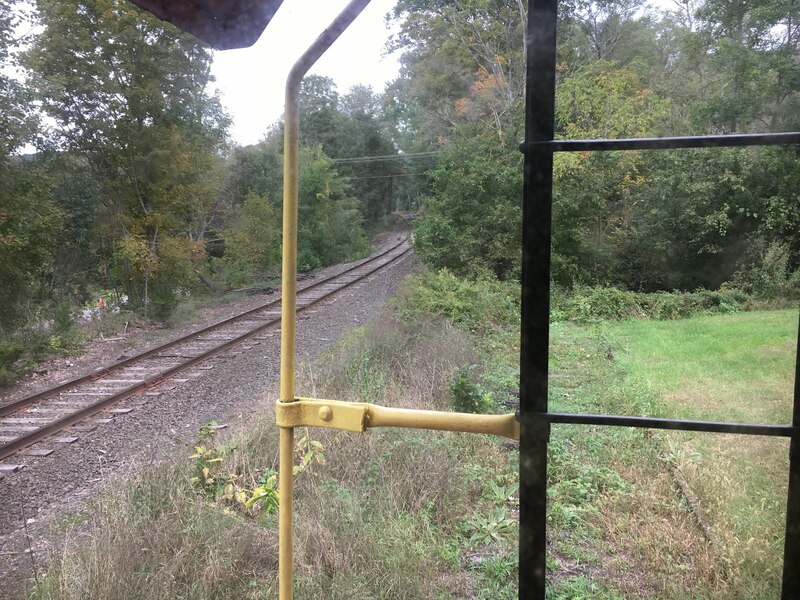 Turns out it wasn't the railroad bed that we ended up on but some old carriage trails. 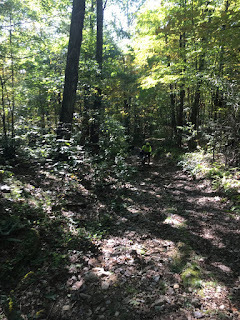 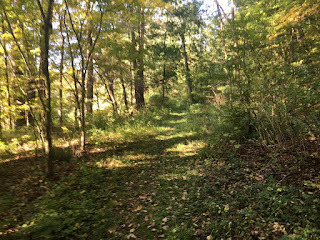 Eventually we were able to follow the trail back to where I roughly figured out where the railroad bed would be by looking at the satellite pictures. We came out at a series of dykes and dams that I figured were built by the Army Corps of Engineers after the 1958 Hurricane and Flood. 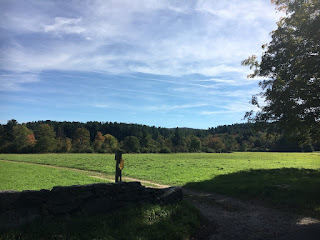 While marveling at their handy work and deciding upon which way to go we saw a coyote running across the field. We found the CNE Right of Way but it was a tough slog because there many wet patches with all the rain we received last week. I would definitely recommend riding this section when it's a little drier. Once on the last dam we recharged, shed some clothing and got our bearings. My route said the railroad bed was straight ahead but I couldn't see it so first we tried following the blazes we saw to the east of our position (see map below on the left) only to find that we were riding more singletrack and since Dean wasn't very enthused about the first bit singletrack we rode and Shepard and I didn't want to subject him to anymore so we turned around. 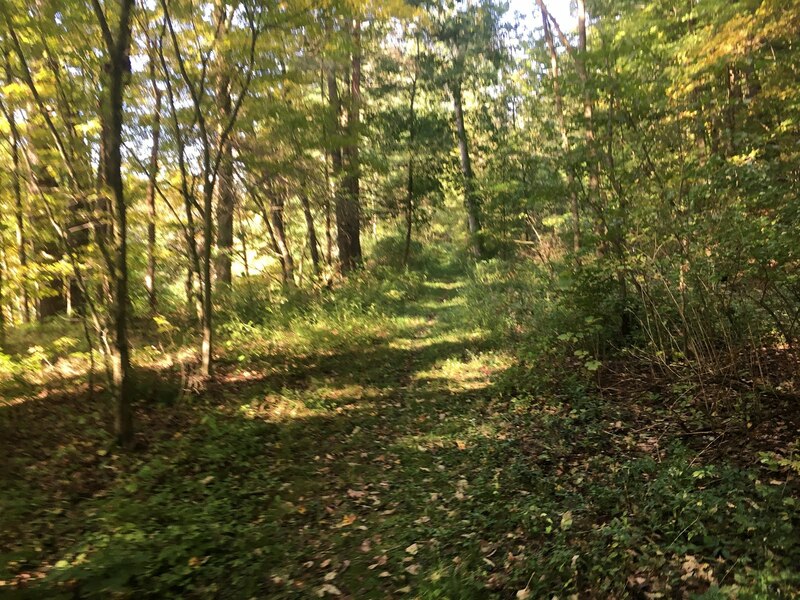 My preplanned route (map on the right) showed the railroad right of way going exactly where we were but it was too overgrown to see it. 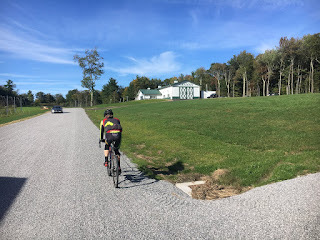 Heading the other way, we got closer to North Street and it looked like our option was to ride through a cemetery, when I found a road through the grass that lead to a CT DOT facility and eventually to the road. 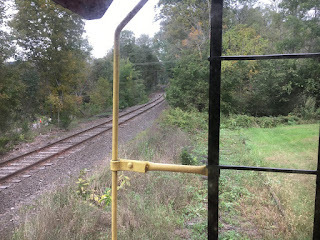 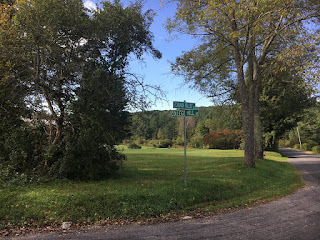 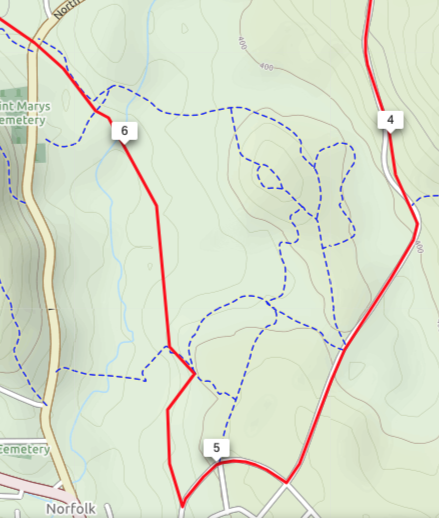 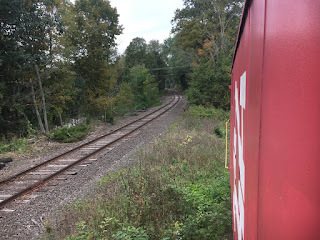 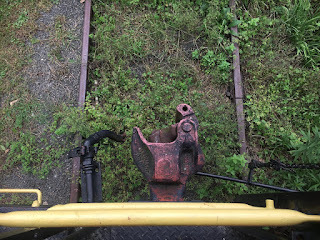 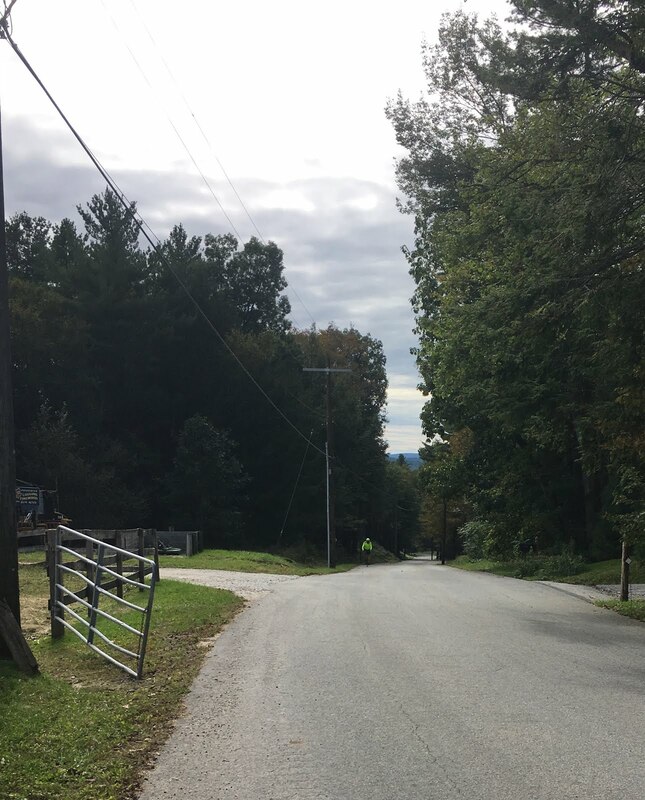 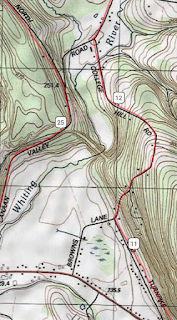 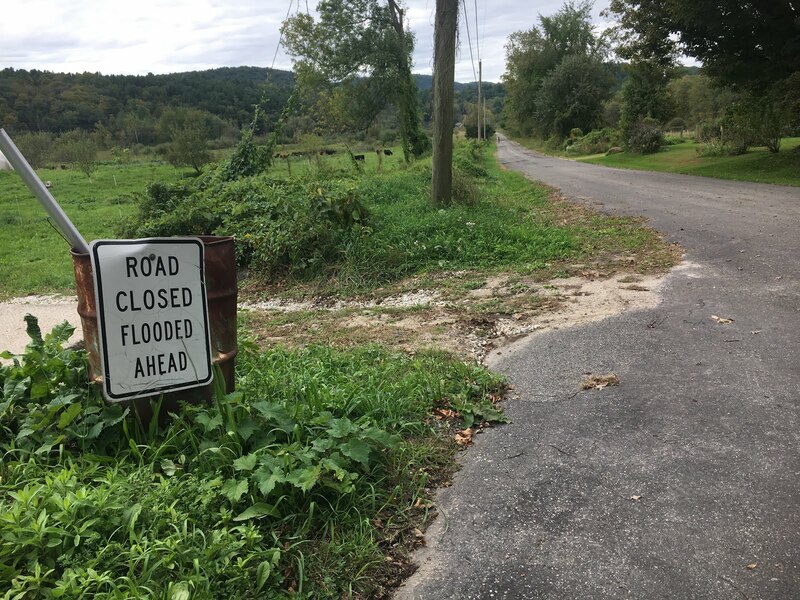 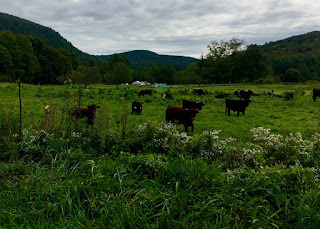 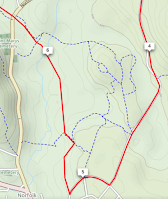 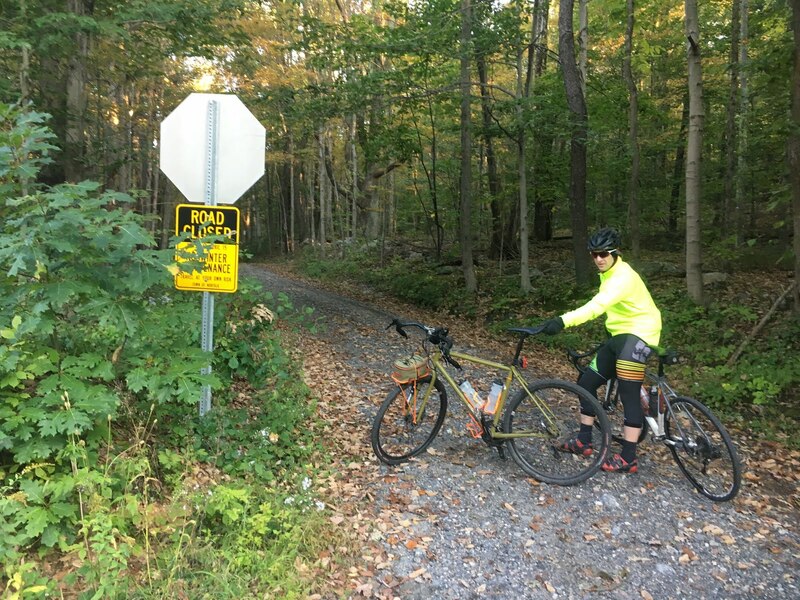 Once on North Street, I figured out where the grade crossing should have been but there wasn't any sign of the right of way so we kept going and I knew the roads would go around Haystack Mountain where we should find the other section of the road bed. 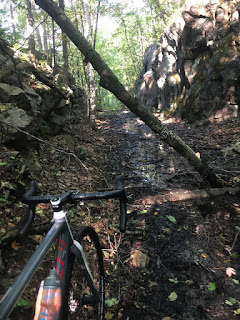 It was right where I thought it would be only it was gated and there were sings saying Hiking and Skiing, which I thought was kind of weird because the YouTube videos I found talking about this section of the trail showed people riding through there. The ride up to the Stoney Lonesome cut was pretty good. 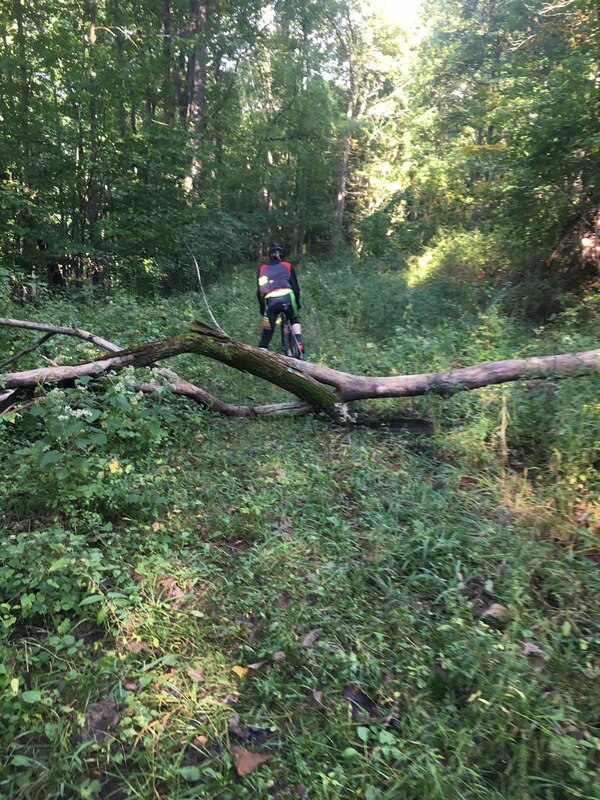 There were a few downed trees to hop over and some streams to ride through. 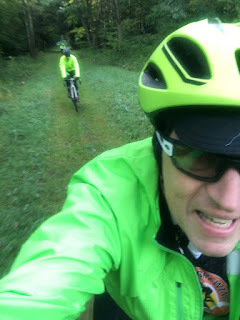 It sure didn't look like what you see in the video on this ride! 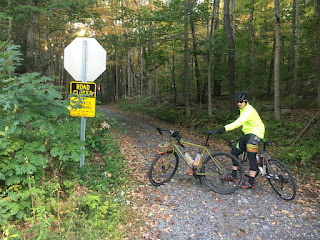 After crossing over Locust Hill Road the railroad bed continues as someone's driveway and since it wasn't posted so we headed in. 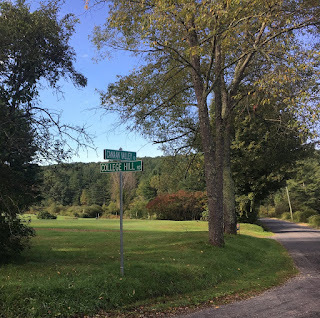 The right of way split off from the driveway but I was unsure whether or not it went through so we headed down to Rt 44 and followed the scripted route which took us to Old Turnpike Road, which by the way parallels the old railroad bed. 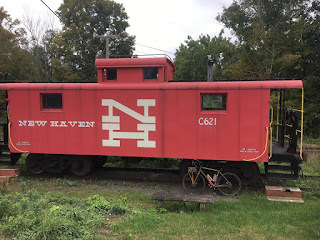 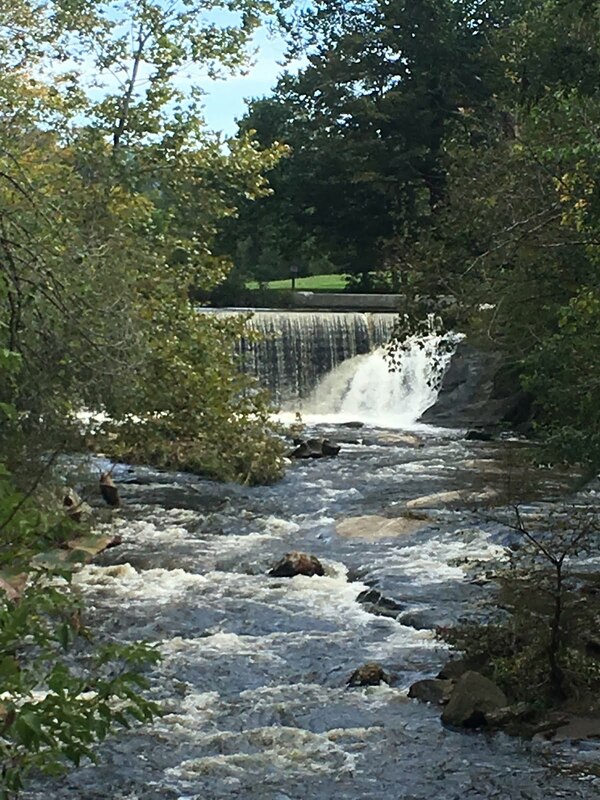 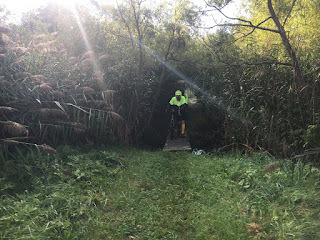 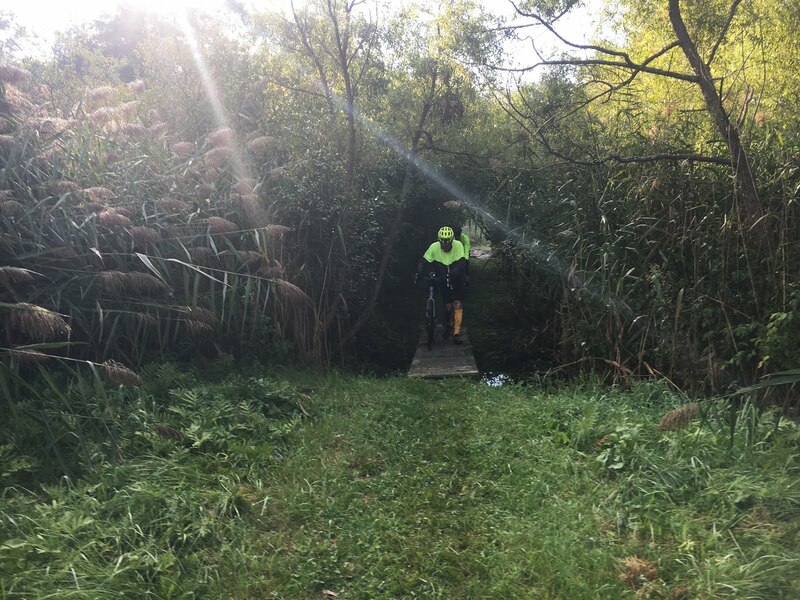 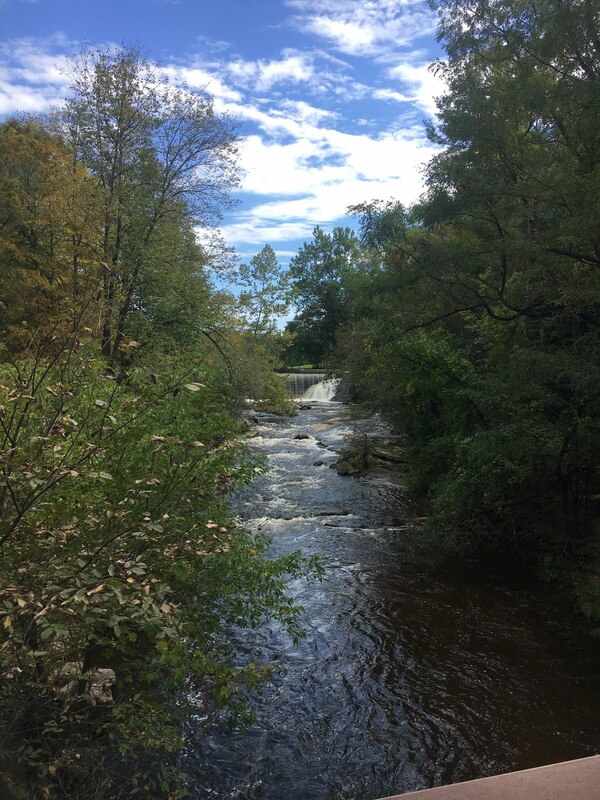 Post ride and doing a little more searching on the web I came across a description of this area and it would seem that Old Turnpike Road go thru, under the viaduct, according this webpage describing the Central New England Railroad passing through Whiting River. 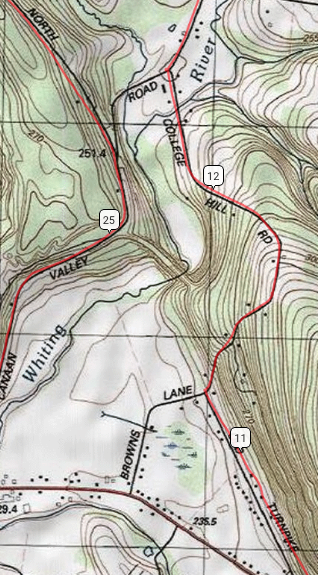 It doesn't mention, however, how the road got over The Whiting River. There must have been a bridge and my guess that it's long gone. 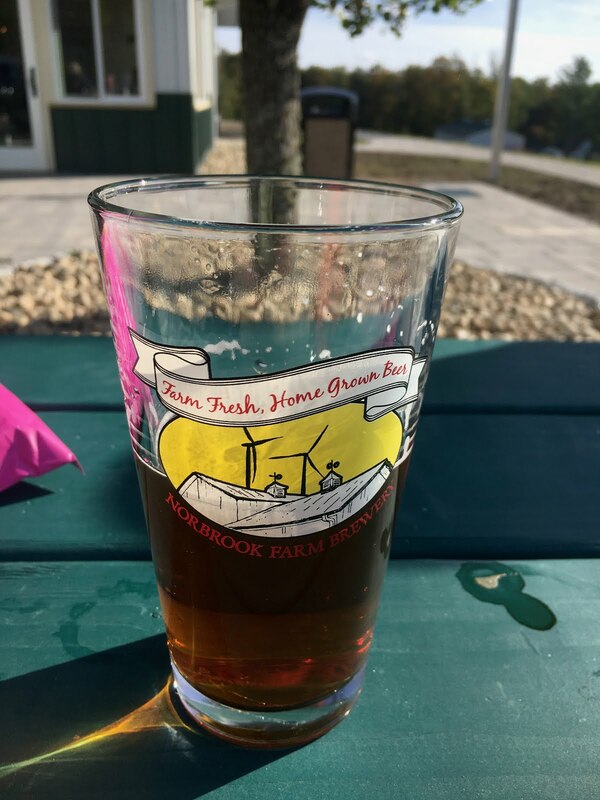 I definitely think I am going to have to come back here for another visit, either by bike or maybe when we get some snow and snowshoe in. 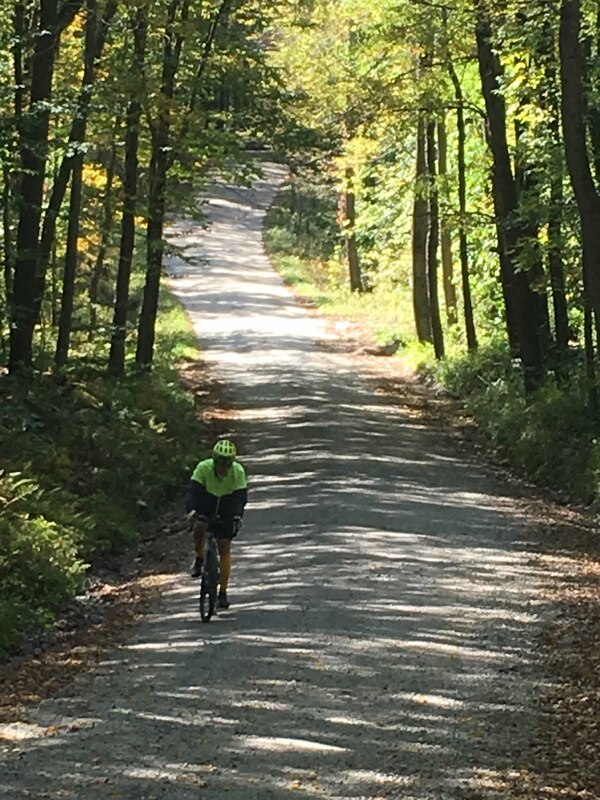 Turning onto College Hill Road we started the first significant climb of the ride with an average 9% grade and a max of 11%. 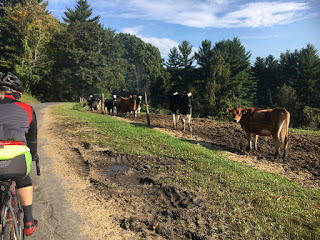 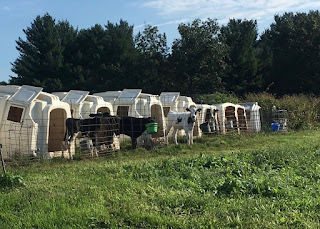 And then we crossed into Massachusetts at this cow farm. 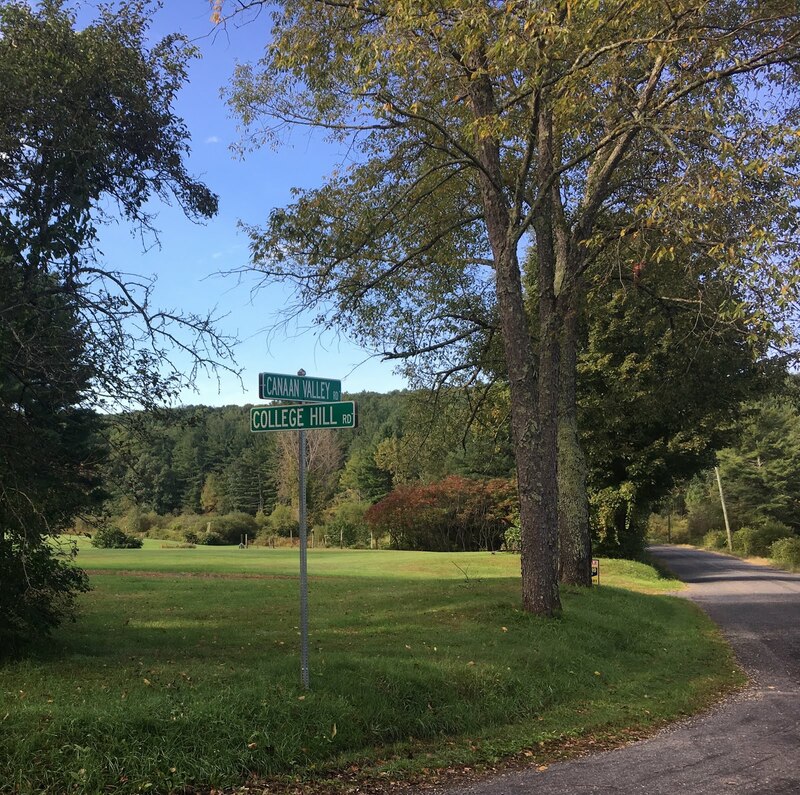 After climbing to the top of Rhoads and Bailey Road it was all down hill on dirt roads to the CT line and more downhill back down to Rt 44. 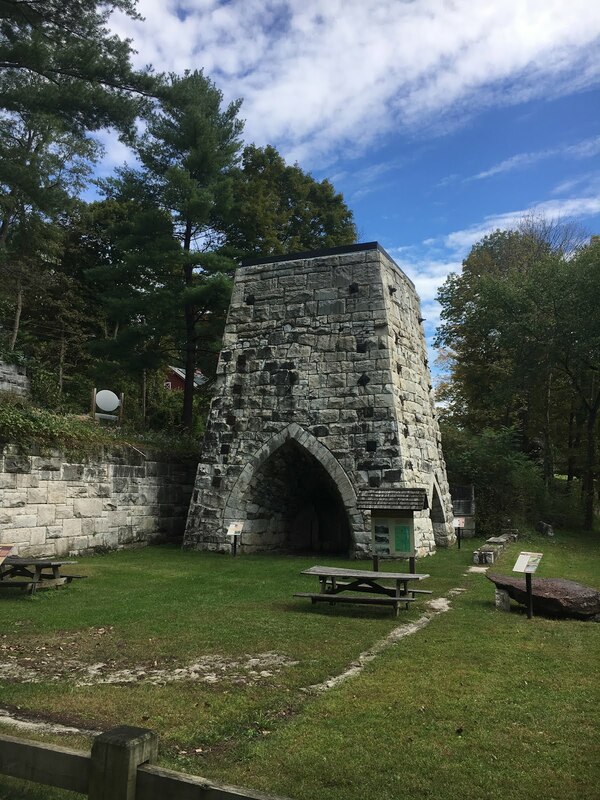 From the furnace we stayed on Lower Road until we got to Route 7 and then headed into Canaan for water, a restroom, and some lunch the Quikmart/Dunkin Donuts, or is just Dunkin now? 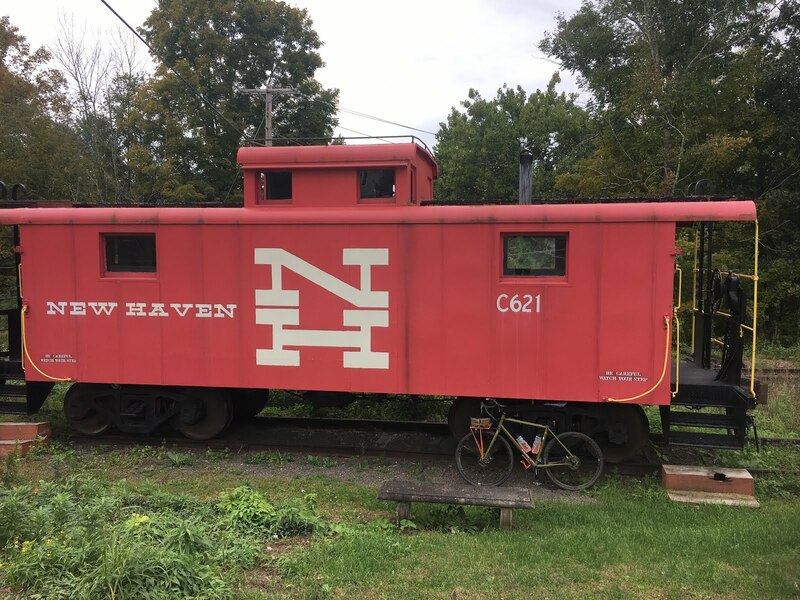 From Canaan we rode down to Housatonic Road, which is a nice flat, dirt road to Falls Village where we found this Caboose on it's own siding next to the main Housatonic Railroad line. 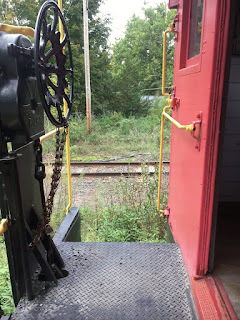 The Caboose was open and while no furniture was inside there was still the old pot belly stove they used to keep warm. Under the observation deck were closets for clothes, an oven for cooking and yes, one of those little closets was even a bathroom. 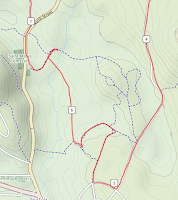 From Falls Village we continued up Route 126 and then on to Route 63 to eventually turn onto Cobble Road. 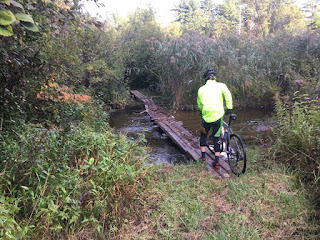 ... and there were awesome. 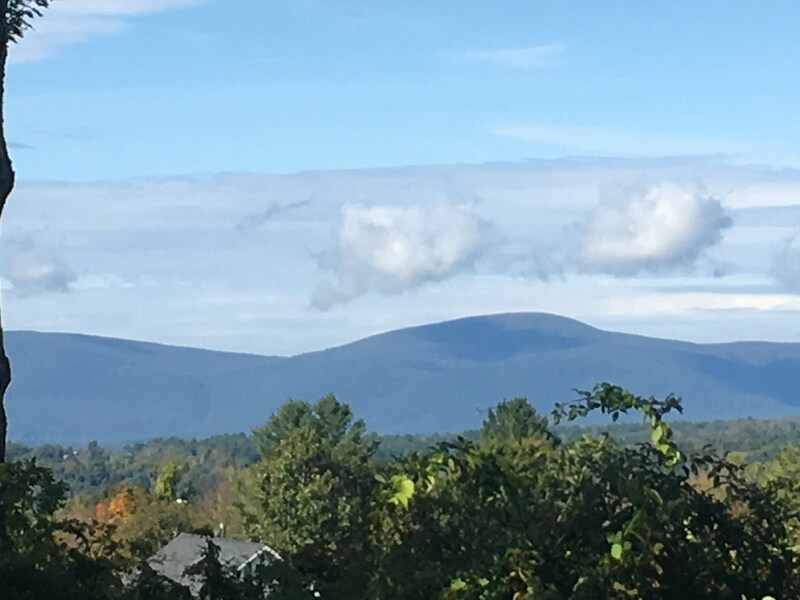 What makes this place so great is that it's almost like being on a plateau. We rode down Rt 272 till Winchester Road. I couldn't find the entrance to the Billings Trail so we bi passed it. 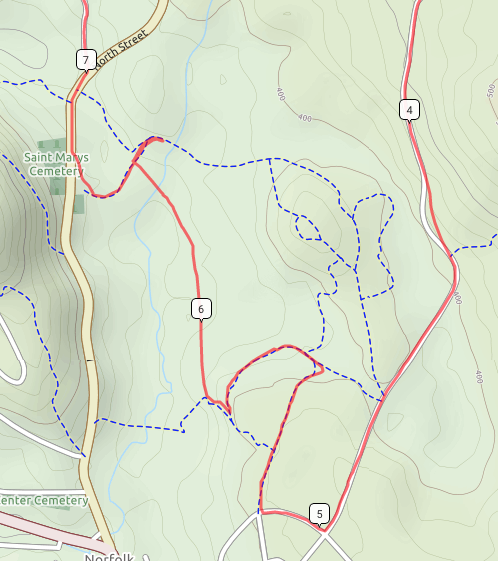 Turns out the trail head was about 1/2 mile down the road on the left. 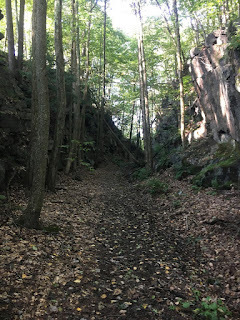 On the other end the roadbed was quite pronounced. Now another reason to come back.